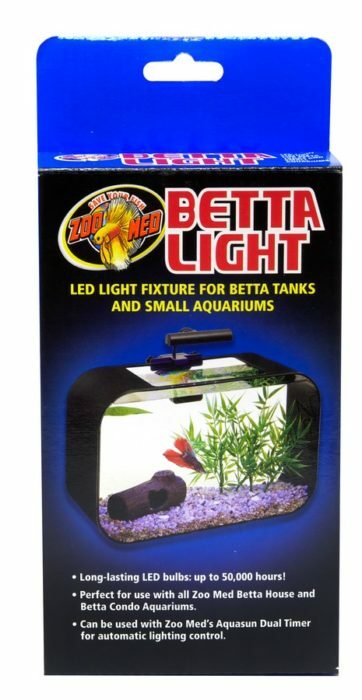 Betta Light™ | Zoo Med Laboratories, Inc. Perfect for use with all Zoo Med Betta House™ and Betta Condo™ Aquariums. Can be used with Zoo Med’s AquaSun® Dual Timer for automatic lighting control.